The prime task of the standard (single-phase) router is to monitor the energy flow to and from the premises. Any surplus energy is sent to a suitable load so that the rate of power consumption always matches the rate of generation. By staying within the penalty-free zone which most meters provide, no costs or penalties are applied while surplus power is being diverted. The same principle is equally applicable to the 3-phase situation. In the UK, the user is charged according their net consumption across all three phases. To operate in this way, the 3-phase Router needs to monitor the energy flow on each of the phases separately, and then add these individual values together. Once the net flow is known, any surplus energy can be diverted in a similar way as for the single-phase situation. Since June 2014, a 3-phase Router of my design has been working satisfactorily at a premises where PV is available on all thee phases. The hardware platform for that project was a one-off construction, but I have since commissioned a 3-phase PCB for this purpose. This PCB layout has been recently revised as noted at the end of this page. Circuit diagrams for both versions are available via the Downloads page. The 3-phase version is well suited to any 1-phase environment where there are twin 'hot' feeds, such as in the United States. By measuring the Voltage and Current for each half of the supply separately, the total amount of real power can be accurately calculated. When using this approach, only two of the three pairs of V & I sensors would need to be populated. However, because utility meters in the US only measure the 240V L1-L2 voltage, it makes sense for a diverter of surplus power to do likewise. 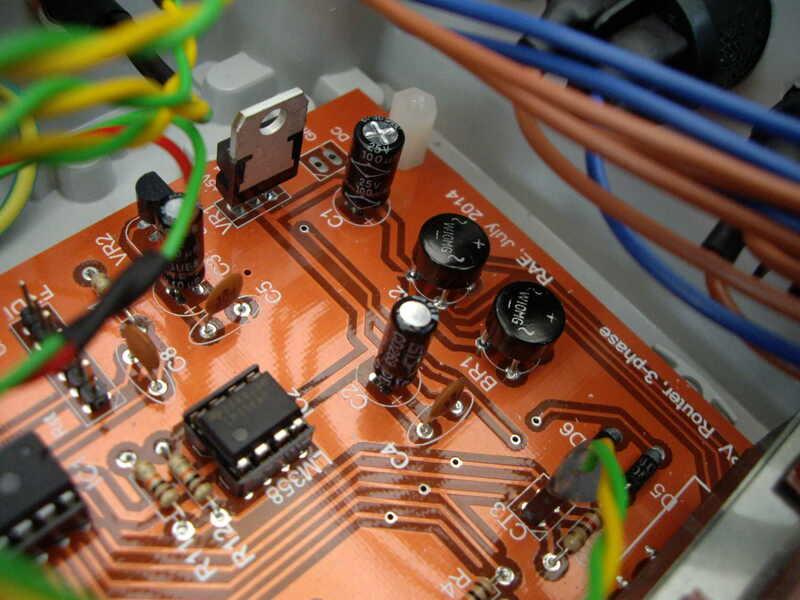 My 1-phase PCB can therefore provide sufficient capability for such applications. Two measurements of current are required, each of which is associated with one-half of the measured voltage. Software for a split-rail application is available on request. These two boards have been assembled in slightly different ways. The one on the left operates at 3.3V. Up to three (triac-based) output stages can be used with this configuration. 2. One or more SSRs can be used as the output stages without requiring any extra components. If the RF facility is to be used with the 5V version, an additional step-down regulator (VR2) is required to provide 3.3V to the RFM12B. The difference between these two versions is described in more detail later. A 3-phase power monitor should display minimal crosstalk between the three channels and have minimal background drift. Both of the above boards have been tested on the bench and found to have good performance in these areas. 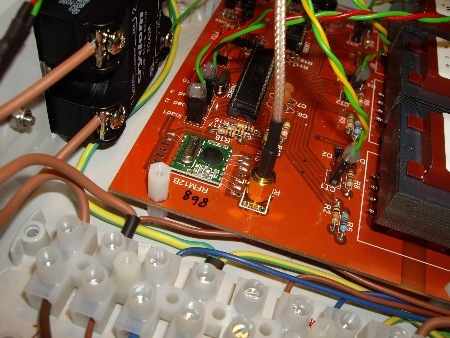 For this layout, the analogue and digital supplies for the processor have been kept separate, and the sensitive signals from the input sensors have been shielded. These simple measures appear to have resulted in a board that is well suited for its intended purpose. 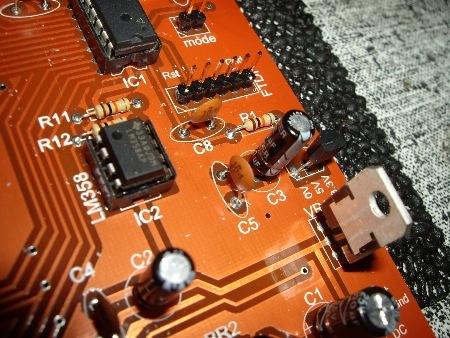 With the 3-phase PCB being 50% larger that the standard one, and more external connections being required, it is less obvious how this new board should be assembled into a complete system. One possible approach would be to mount the main board within an enclosure of its own, and for each output stage to have its own separate enclosure. 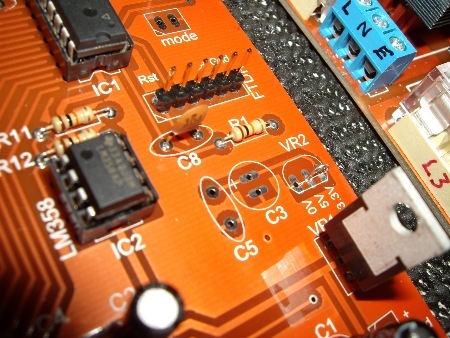 When used on its own, this new PCB could provide a compact means of monitoring a 3-phase supply. It will just fit inside the size of enclosure that is featured on the preceeding pages. 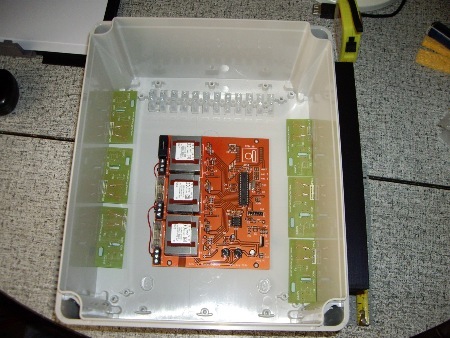 Another possible arrangement would be to have a larger enclosure in which two output stages are mounted alongside the main board. This may be an attractive configuration for many users. I have therefore built up such a system which is now described in more detail. 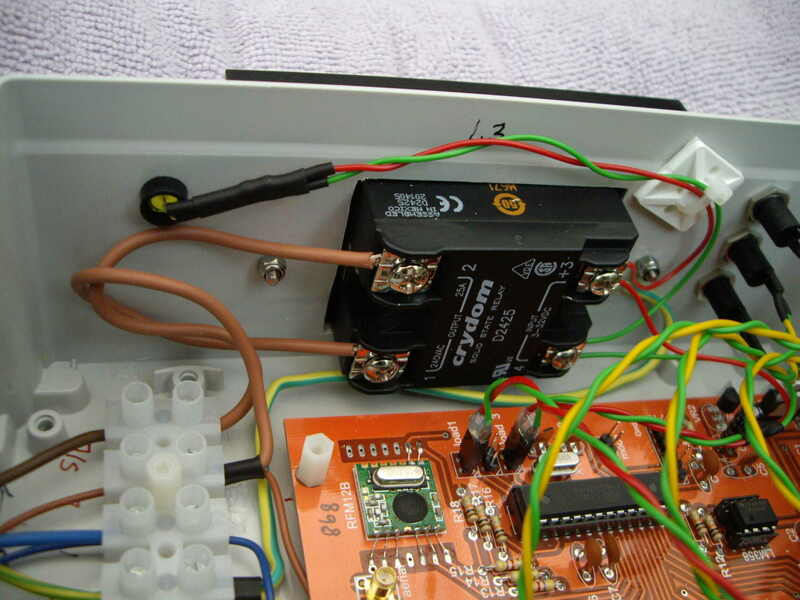 Here, the 3-phase PCB has been mounted within a Schneider NSYTBS24198 ABS enclosure. Output stages are present for L1 and L3, but not for L2. All power connections are at the top (left). At the bottom (right), there is a double-pole mains switch for each of the phases. Although my standard output board will work satisfactorily in a 3-phase environment, this unit has been equipped with a pair of Solid State Relays instead. These are from a reputable manufacturer, and bear the CE mark of approval. This may be an important factor for some users, or their electricians. The Crydom D2425 product appears to be well manufactured and performs well. Cheaper SSRs are available, but I would not recommend using them. This SSR is rated at 25A, but higher ratings are available. The SSR is held to the heatsink by self-tapping screws. The earthing lead is attached at one of these points. An LED (with series resistor) shows when the output is 'on' . The additional step-down stage has just three components: the 3.3V regulator, and two smoothing capacitors. If SSRs are not in use, the board can be reliably operated at 3.3V, just as for the single-phase version. 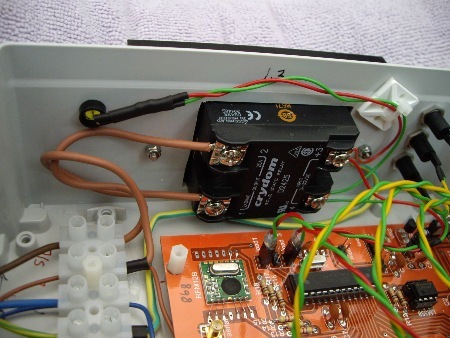 In this case, the extra voltage regulator is not required. 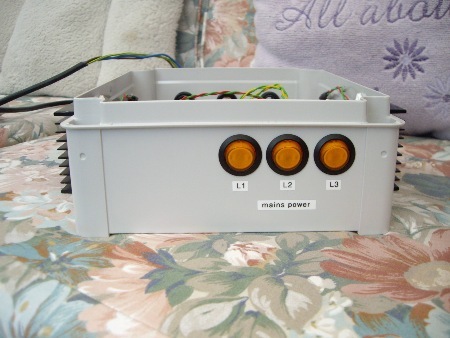 Power can be provided to the RFM12B using a simple wire link at VR2. 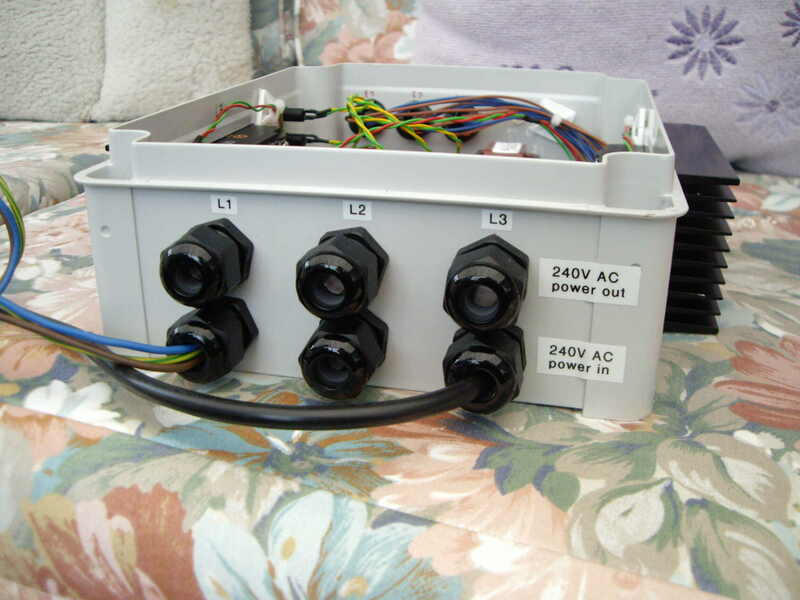 The spare output from each transformer has been used to provide an improved power supply. This requires the use of six diodes rather than the usual four, hence there are two bridge rectifiers on this board rather than just one. The right hand side of the enclosure has the heatsink for L3 and the associated LED. The jack-sockets for all three CTs are on this side too. The bottom of the enclosure has a double-pole mains switch for each of the phases. 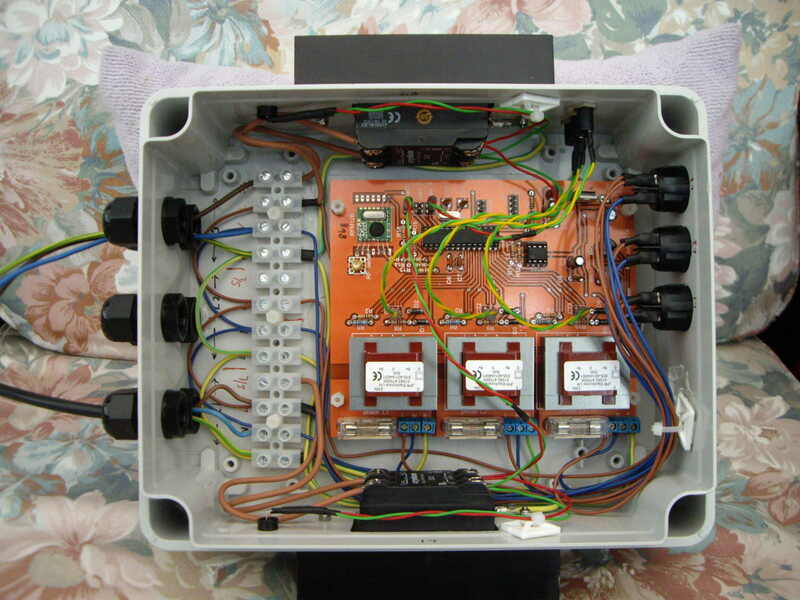 Each of these switches supplies power to the associated transformer on the PCB. As with the 1-phase version, power for the output stages does not pass through these switches. The top of the enclosure houses the glands for all the input and output cables. For test purposes, only one input and one output have been connected. For this unit, which only has output stages for L1 and L3, there is no need for the central gland on the upper row. Here is the completed unit with its cover in place. The CTs need to be clipped around around the three incomers. The CT cables can be extended for several metres without affecting the system's performance. In normal operation, all three mains switches would be in the 'on' state. If the RF facility is in use, an external aerial will be required. This extender cable screws directly to the receptacle on the PCB. The other end of the aerial cable can be fixed to any convenient point on the enclosure. The aerial should be chosen to match the frequency of the RFM12B. RF aerials with SMA fittings are available in various forms. This is a 1/4-wave right-angled aerial for 868 MHz operation. 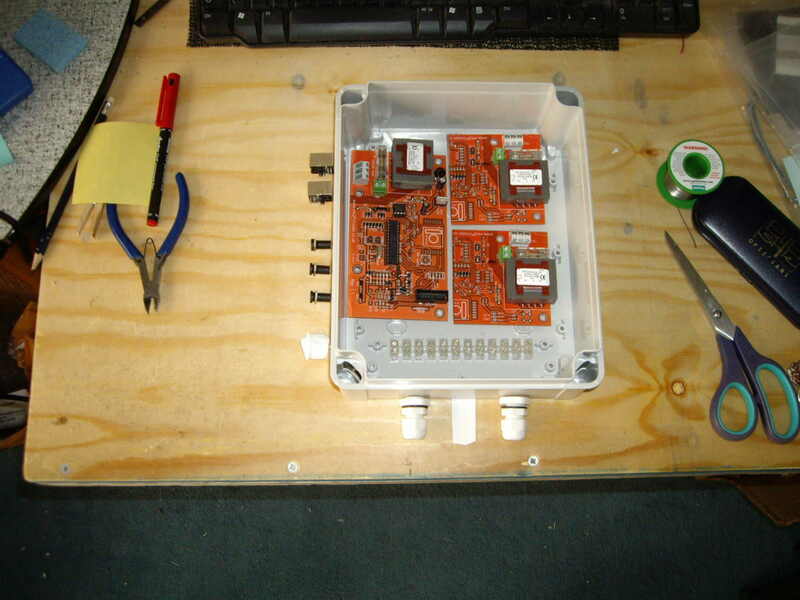 With the enclosure shown above, only one output stage can be mounted on either side. If more output stages are needed, a larger enclosure could be used along with larger heatsink. The photo below shows a Schneider NSYTBS292412 ABS enclosure together with a 220 mm length of profile 333AB heatsink from ABL Components. 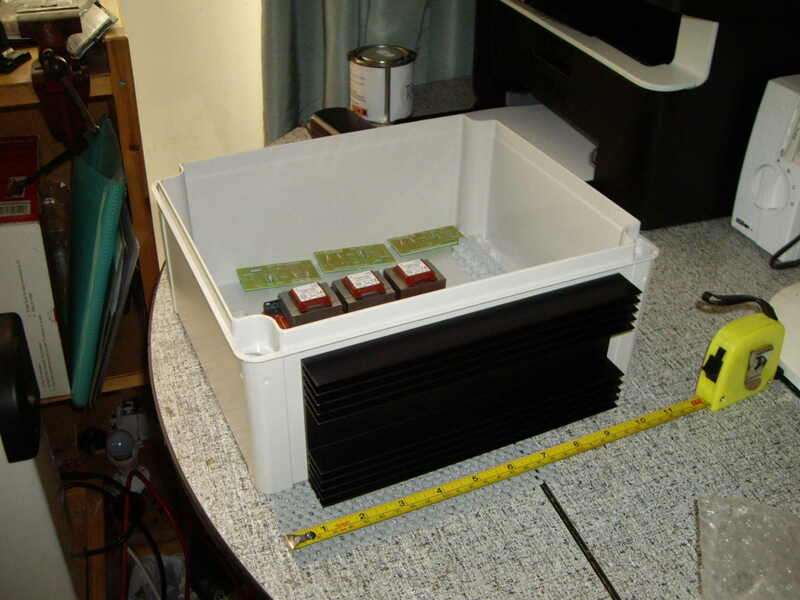 This larger enclosure has external dimensions of approx. 290 x 240 x 130 mm (11.4" x 9.5" x 5.2"). 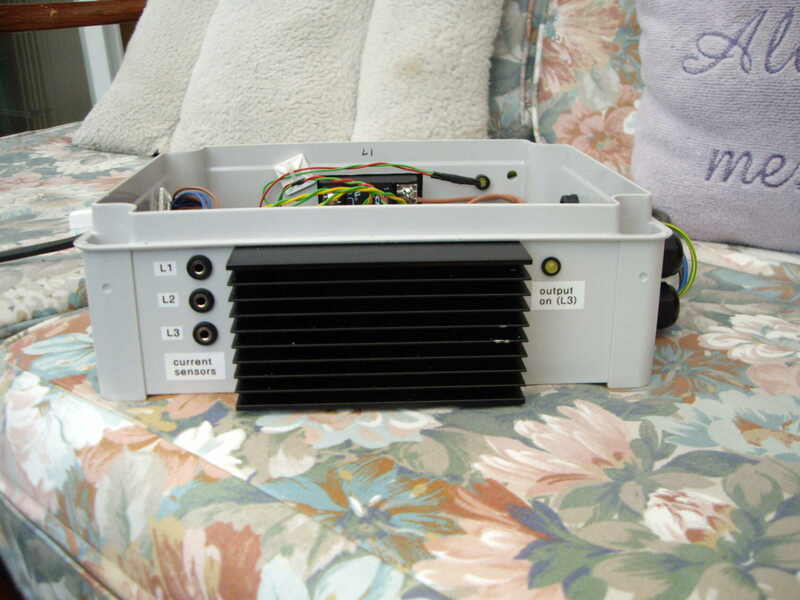 In free air, this heatsink has a stated thermal rating of 1.035 degrees C / Watt. With the larger enclosure, there is space for up to six output stages, either triac-based or SSRs. If the RF facility is not required, up to six output stages could be independently controlled by this PCB. For a finer degree of control, a 3-phase water heater could be treated as three separate loads. - all digital ports are tracked to easily accessible points. - the Vref circuit can be operated either at Vcc or using the processor's internal 1.1 Volt reference. Here, using one of these latest PCBs, ports D3 to D9 have been fitted with pairs of SIL pins. In each case, the associated power pin is 0V. 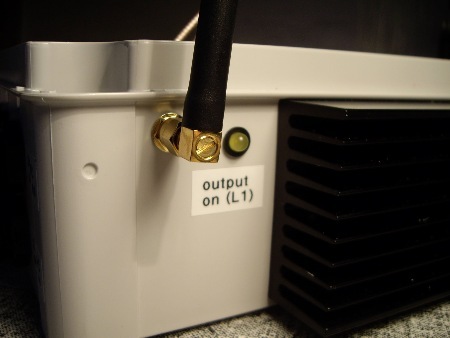 The red link, marked L1, is to configure the reference circuit to operate at Vcc. If L2 and L3 were fitted instead of L1, the internal 1.1 Volt reference would be used. A circuit diagram for this latest 3-phase PCB is available in the "Diagrams & Guides" section of the Downloads page. Note 1: The value for R22 is shown on the circuit diagram as 100K. That value is OK when the unit is free standing, but the reset process may not work reliably when a USB programmer is connected. A 'weaker' pullup is therefore recommended, hence the value of 1M0 in the above table. Note 2: The values for R2 - R4 and R5 - R7 are each one hundredth of those shown on the circuit diagram. This is to provide some loading for the transformer which can prevent it from going into saturation. This topic is dicussed in more detail on the Technical Notes page. 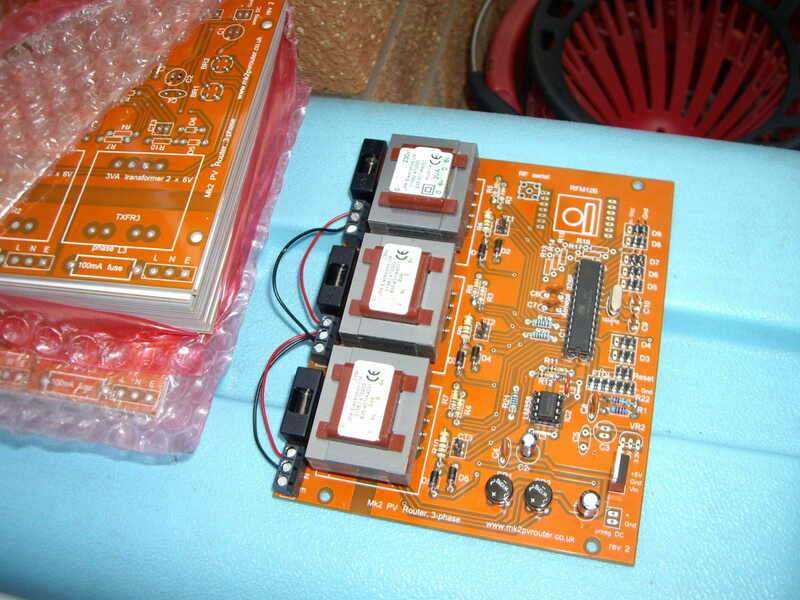 As shown on the Shop page, 3-phase PCBs are available as individual boards or as kits of components. 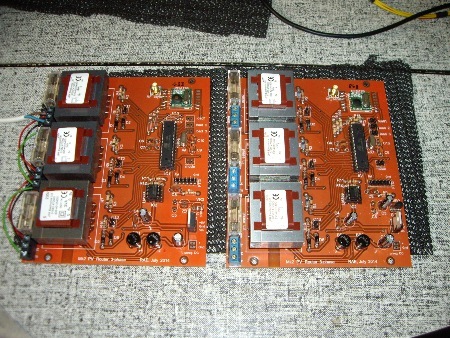 Software to run on these boards is available on the Downloads page. My 3-phase Router sketch supports multiple loads with the ability to change the priority order using an external switch. Datalogging of the average power and RMS voltage for each phase is provided via RF if required. 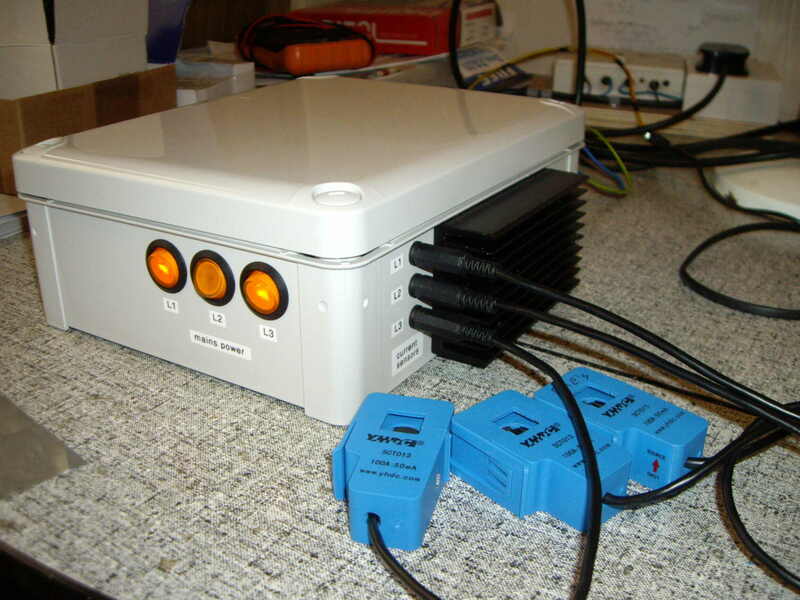 The format of the transmitted data is directly compatible with the Open Energy Monitor's emonCMS system. The 3-phase PCB can also be used for monitoring only; there is no need for on-site generation to be present. Temperature monitoring is not yet supported by my 3-phase software. For further information about this development, please contact me using either of the email addresses on the Shop page.